A spokeswoman for the Ukrainian Finance Ministry said she could not comment on Russia's proposal for restructuring $3 billion in Ukrainian eurobonds held by Russia that come due in December 2015 because no official proposal has been received from the Russian side. 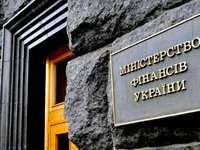 "The Finance Ministry has not received any official proposals concerning a restructuring," ministry spokeswoman Daryna Marchak told Interfax-Ukraine. President Vladimir Putin said on Monday that Russia had proposed rescheduling repayment of the debt over three years, terms he said were better than those being sought by the IMF. "They asked us to reschedule payment until next year. I said that we are ready to embark on a more profound restructuring, ready to not receive any money at all this year, but receive a billion next year, another billion in 2017 and another billion in 2018," Putin said. He said the IMF had tried to persuade Russia to reschedule payment on Ukraine's debt to 2016. In October, the holders of Ukraine's other 13 eurobond issues, totaling $14.36 billion and 0.6 billion euro, approved a debt restructuring deal. Russia, which holds $3 billion in eurobonds purchased using money from the National Welfare Fund (NWF) in late 2013, just before the ouster of Ukraine's previous leadership. Until today, Russia maintained that the eurobonds constituted sovereign debt that must be repaid in full in December and vowed to go to court if the debt was not repaid. Ukrainian Prime Minister Arseniy Yatseniuk has repeatedly said Kyiv is ready for litigation with Russia over its refusal to accept the terms of the restructuring agreed with Ukraine's other creditors. The IMF, whose current rules prohibit it from providing funding to a country that refuses to service official debts, is also planning to examine the debt classification issue.